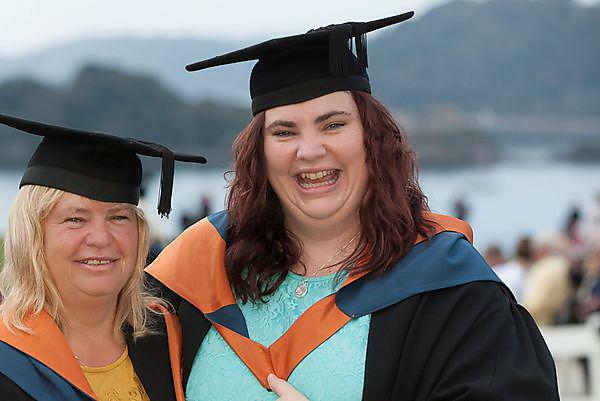 Plymouth University’s Graduation ceremony has been extra special for one family as a mother and daughter received their awards on the same day and in the same subject. Margaret Cain, 55 and Gemma Guppy, 33 were awarded a degree in Health Studies, walking the stage together to receive their certificates. Gemma said working in a constantly changing environment is what spurred them both to pick up the books again to boost their skills. Both Gemma and Margaret were able to continue working alongside their studies as they received great support from their employers at the Torbay and South Devon Health and Care NHS, with the added advantage of trying out new areas of nursing through placements organised during their degree. The pair agreed this was a valuable element to the course, offering new opportunities to them. And since finishing their studies, Gemma is now a nurse manager for the same department, while Margaret has had a complete change and is now working in Orthopaedics. Graduating alongside the many friends they have made along the way, Gemma and Margaret shared the stage on Saturday 27 September with honorary graduate Ann James, Chief Executive of Plymouth Hospitals NHS Trust who received an Honorary Doctorate of Health.